This app helps you to learn the English Tenses very easy and proper way. 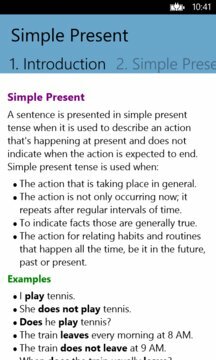 You can increase knowledge of Tenses in the English Language. You can study tenses by using different sentences like (Positive use of Tense, Negative use of Tense, Interrogative use of Tense, Negative Interrogative use of Tense. This app helps you how to use auxiliary verb. 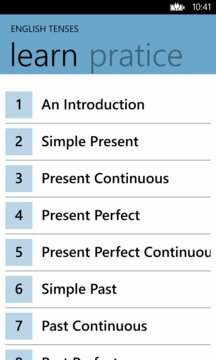 You also get Structure of all Tenses, Example of all Tenses and More than 300 Practices ( Mix practice and Individual practice ). Tenses in any language are the basic topics in both writing and communication of that language. We cover in this app. All of you need to learn Tense for many types of example like, TOEFL, IELTS, TOEIC, GRE,GMAT,KET etc. If a student can learn these lessons and can use it properly he/she can learn English language very quickly.